Some animals, like some men, Leave a trail of glory behind them. and remain forever a part of the rocks and streams and the wind and sky. Equine Guided Learning (EGL) is a relatively new therapeutic and coaching intervention which grew out of the US Therapeutic Riding movement (equivalent to the UK’s Riding for the Disabled) It comes under many different names including Equine Facilitated Learning (EFL), Equine Facilitated Therapy (EFT), Equine Assisted Learning (EAL), Equine Assisted Therapy (EAT), Equine Guided Education (EGE), Horse Assisted Education (HAE), Horse Assisted Therapy (HAT), Therapeutic Horsemanship. The combination of an insightful and skilled facilitator trained in Equine Guided Learning and the presence of one or more horses can have the most profound effect upon a client’s process. Throughout human history horses have had a profound effect on the human soul and spirit through their beauty, spirit, strength, power and grace. Within each of us is a divine essence. By deepening our awareness of our essential nature, we learn to hear the still, quiet voice within, knowing we are part of this incredible creation, healing ourselves and our connection to all beings. Horses demonstrate a model of leadership which is an incredible teaching for humanity, helping us to stand in our own sovereignty at the same time be part of the herd. It is my belief that horses are purposively helping humanity heal. There is no mistake that the ancients saw the White Mare is a symbol of the sovereignty of the land. They hold a special place in the indigenous shamanic tradition of the British Isles. Private Equine Guided Learning sessions are also available between March and October. FREE session if booking a series of 6 sessions. Horses physically have larger hearts than ours and their compassionate nature affects those in need of healing and love. Just as dogs and cats can often be observed seemingly comforting their owners when distressed so too do horses through their gentle warm breath or through curving their neck around a human in need of reassurance or comfort. Often they will position themselves purposively, lining up their heart to a human heart. There are many people who bear testimony to having been comforted by a horse’s soft, generous, open-hearted, forgiving presence. 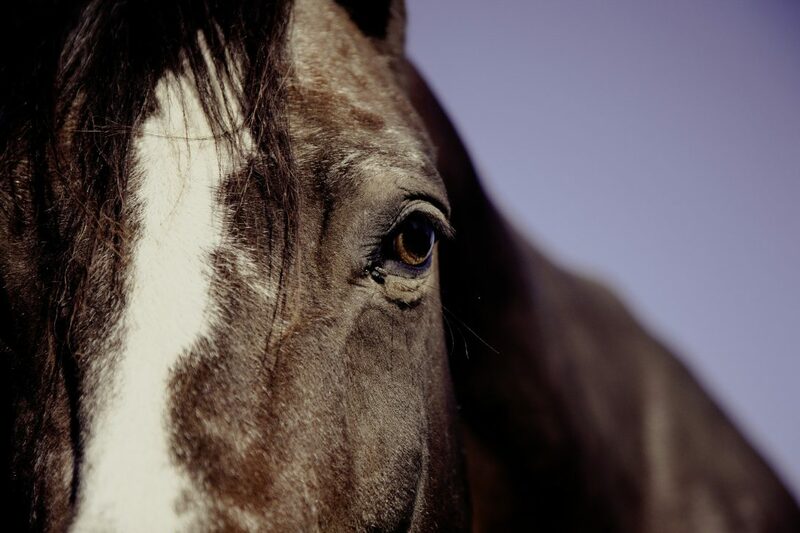 Horses, in common with all social, hierarchical animals respond positively to authenticity in humans but horses are large and extremely powerful prey animals and therefore command our attention when we are with them. AS we spend time with them, our awareness changes and grows. They teach us to be present and we automatically develop a relaxed attention. They are masters at teaching the art of living and being: as herd animals they respond to the energy of our intention and mirror our internal states through their behaviour. Horses are barometers of authenticity. As highly sensitive beings they pick up on the slightest nuances in body language, atmosphere and non-verbal cues. They are experts at mirroring our internal emotional states, reading our body language and the energy of our intention. These aspects of their natures are what makes Equine Guided Learning such an incredibly gently but powerful tool. Horses know when we hide from ourselves. When we fall prey to our false self, the part of us that believes without questioning that what we have been taught by our conditioning is true, they respond in a variety of ways. When we listen to our authenticity, the ever-abiding presence of our true authentic being, they relax and want to be with us. Essentially, horses get confused when we are not being true to ourselves; when our thoughts and feelings do not match or when we do not mean what we say. By spending time with a horse, observing their interactions with us, we can learn a great deal about ourselves. A facilitator trained in Equine Guided Learning will notice all these nuances of the horse’s behaviour and be able to gently assist the client back to a more natural, less conflicted state of being. Crucially for our wellbeing and happiness, they teach us to listen to our bodies, trusting our body’s sensations and feelings and learning not to overrule our innate wisdom, intuition and instinct with our overly dominant head-mind. They do this through their requirement for us to be congruent so that they can feel comfortable in our presence. When we are not being true to ourselves, they feel uncomfortable and will express this in a variety of ways. This means that through Equine Guided Learning, horses help us to heal, encouraging us to let go of our masks and any social conditioning which is harmful to the well-being of our essential self. Through Equine Guided Learning and by working with horses in this way we can discover our truest desires and intentions and learn to commit to them with focussed intention and follow through. By committing to who we truly are, we reveal our own beauty. This requires courage, determination and a strong commitment to our hearts. The energy of this essential self, our creative self is irrepressible. If we move against it or try to suppress it, we begin to feel empty, depressed, ill.
Horses teach us about true leadership. They embody an authentic style of leadership, assisting us in becoming masters of our lives. They teach us to lead from the core of our being, both when we are making choices about our own lives as well as choices that impact the lives of others. They teach us to lead from true conviction and passion. Amongst the horse kingdom there are some tremendously noble and great souls who teach us to embody the qualities we wish to inspire in them. We can then apply this embodied knowledge to our relationships with our fellow humans. In short, what we learn about our effectiveness through being with them, we can apply to our lives within our families, our work colleagues and within our communities. Horses’ most effective leaders do not use fear, dominance and submission. Horse leaders create trust and respect within their families (herd); set clear boundaries and are unwaveringly committed to the family’s best interests at all times. By learning to engender trust and respect and by setting clear boundaries, we too can learn to become very effective in our communities as well as in our lives with horses. Through Equine Guided Learning, we can discover our truest desires, learn to harness the power of intention and the commitment to follow through. They, like us are social animals, living in small family groups (herds) with a clearly defined social structure and hierarchy. Their family structure can teach us a great deal about living well within our own families, or with our work colleagues or within our community groups. Leadership is extremely important to horses and they are constantly asking the question: “Who’s leading?” Equine Guided Learning applies this knowledge to assist a whole variety of clients including corporate teams and families in improving their leadership skills. After all if a person or team can demonstrate sufficiently impressive leadership cues, enough to inspire a large horse at liberty, then how might they apply those skills to their human lives? Horses’ survival depends upon them working together efficiently as a team. If we are uncertain about where we are leading them, they won’t follow or they will suggest another way. Horses that make the best leaders are the ones that have the whole group’s best interests at heart. They have developed trust and respect within their herd members and command respect through charisma and presence. Learning to follow the dictates of our essential self, knowing who we are and who we are not, is crucial in finding the key to our mystery. With the help of horses, Equine Guided Learning can help us find clarity of direction and purpose, as well as unveiling our creativity. Our desire for qualities such as joy, peace, freedom and a sense of aliveness is our essential self urging us toward our path of destiny, our true calling. To find our calling and our purpose, we must follow the path of authenticity and return to the simplicity of the essential self within. In today’s society our lives have become so complex, so far-removed from our natural state that we are hugely out of kilter and so far removed from the simple hearth of the earth. Many of us are feeling a terrible soul loss, living lives that are not rooted in the ground of our being, our essential natures. Many of us yearn for simple lives that are deeply connected to the earth and Her seasons. In short, we are yearning to belong, to ourselves, to the earth and to community. Horses can lead us on the journey home, reflecting back to us when we are being our authentic selves and when we are not. They are masters at mirroring our internal states and being less concerned with our past or our future, they bring us back into the eternal present.